Furtwängler was inaccurately denounced in America as a Nazi. His de-Nazification proceedings were misreported in the New York Times. Afterward, he was prevented by a blacklist from conducting the Chicago Symphony or the Metropolitan Opera, both of which wanted him. Furtwängler was no Nazi. Behind the scenes, he helped Jewish musicians. Before the war ended, he fled Germany for Switzerland. Even so, his ­insistence on being “nonpolitical” was naive and self-deluded. As a tool of Hitler and Goebbels, he potently abetted the German war effort. In effect, he lent his prestige to the Third Reich whenever he performed, whether in Berlin or abroad. He was also famously photographed shaking hands with Goebbels from the stage. A much more compelling section of Mr. ­Allen’s narrative comes at the end, when he observes that Furtwängler blithely maintained his musical ideology after World War II, with no evident pause for reflection. One can agree that this says something unpleasant about the Furtwängler persona, suggesting a nearly atavistic truculence. But it is reductionist to analogize Furtwängler’s unrelenting postwar hostility to nontonal music to “the non-rational censure of ‘degenerate’ art by the Nazis.” Far more interesting is Furtwängler’s own argument that the nontonal music of Arnold Schoenberg and his followers lacks an “overview.” A calibrated long-range trajectory of musical thought was an essential ingredient of Furtwängler’s interpretive art. Absent the ­tension-and-release dynamic of tonal harmony, he had little to work with. Wilhelm Furtwängler’s refusal to emigrate, however else construed, is not irrelevant here. He processed much differently the stresses that drove Thomas Mann into permanent exile. From 1922 onward, Furtwangler was the GMD of the Berlin Philharmonic. The Berlin and Vienna Philharmonics were two of the most active institutions for the promotion of Nazi propaganda. See: Fritz Trümpi, “Politisierte Orchester: Die Wiener Philharmoniker und das Berliner Philharmonische Orchester im Nationalsozialismus.“ We have to wonder how F. could have been so active in support of Nazi cultural identity and the use of culture as Nazi propaganda and not have been culpable. In 1944, Furtwangler began living in Luzern, but it should be noted that this was done with the permission of the Nazis. It was not as if he fled due to some sort of outward resistance. In the last three months of the war, shortly before the invasion of Berlin, he settled in Luzern permanently. Time and again his behavior seems opportunistic. On the other hand, the circumstances of the Reich are difficult to comprehend. Very few of us are able to judge how people lived under its rule. Still, I’m skeptical about the claims that he was somehow innocent. People like Mann and Hindemith set a far higher standard for integrity that shines a poor light on seeming collaborators like Furtwangler. By making the decision to remain in Germany – among others, Arnold Schoenberg implored him to do what could to stay in Germany and help others – Furtwangler helped and assisted hundreds of people to survive the war or get out of Germany, altogether. For me, that outweighs the by-now incredibly outdated image of him as a a Nazi pawn. If he’d done “the smart thing” and left in 1933, those hundreds of people would’ve died without him being there to help them. Is that what people would’ve preferred? Sometimes, it seems that way. Furtwangler was a rescuer – and he’s still being condemned for having remained in Germany in order to become one. There are significant differences between how the German and English-speaking scholars view Furtwangler’s actions during the Third Reich. As a general rule, German scholars paint a more complex picture of his involvements. For general readers, this is clear if one compares the German and English wiki articles about Furtwangler. Germans carefully note his opposition to the regime and the persecuted people he helped – though they do not refer to it as “hundreds” which would likely be viewed as an exaggeration. At the same time, they note his collaborative work. In 1935, for example, Furtwangler mended fences with Goebbels by saying that with his support of Hindemith he did not mean to meddle in the Reichskunstpolitik. After further conciliatory discussions with Rosenberg and Hitler, he was returned to his position as GMD of the Berlin Phiharmonic. In 1935 and 1938 he conducted concerts that were part of the Reichsparteitage in Nürnberg – publicized events used for propaganda around the world. In 1936, 1937 and 1943 he conducted in Bayreuth even though these events were massively used for propaganda purposes. In 1937, he represented Germany at the Paris World’s Fair. He also accepted membership in Goebbels Reichskultursenat. Again, it is very difficult for people to judge his actions without considering the immense terror exerted by the Nazi Regime, but in Germany there is a much more critical eye cast on the collaborators. By contrast, the English-speaking world seems to have a bias created by a desire to somehow cleanse a classical music world they love. They thus overlook the actions of collaborators that they probably shouldn’t. As for me, I simply don’t know what to think, but I try to remain aware of the contrasting views often shaped by culture. Furtwangler held on to the directorship of the Vienna Philharmonic even though six Jewish members of the orchestra died in concentration camps, and another eleven were forced to emigrate. Nine additional members were found to be of “mixed race” or “contaminated by kinship” (“Versippte”) and reduced to secondary status within the orchestra. The Chairman of the orchestra with whom Furtwangler had to work closely, the bassist Wilhelm Jertger, was a Lieutenant in the SS. It was difficult for the thousands of people forced to emigrate not to view his work as collaborative, though after the war people like Hindemith helped with his de-Nazification process. Again, we see a very complex picture that is not easy to judge. to cross, and doing so with some degree of fervor. My perspective on Furtwangler’s actions from 1933 to 1945 are a little different from the interesting – and sometimes fervent – comments I’ve read here. I spent six years researching his life for a documentary film; I’ve actually read the transcripts of the tribunal he faced after the war ended, and have read Fred K. Prieberg’s essential book, “Trial of Strength.” Prieberg’s book is indispensable for presenting an almost day-by-day account of Furtwanger’s actions. 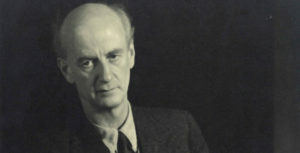 When all is said and done, people either believe Furtwangler did what he could to help others who lacked his influence and status – or they think he collaborated with Goebbels and “enhanced Hitler’s prestige.” For every Beecham or Menuhin who were convinced he took a stand against the Reich, there is a Heifetz or Mann who said he was a willing Nazi stooge. One might as well be discussing evolution or gun control in the United States for all the difference it will make in people’s thinking. People simply WANT to believe he was a rescuer – or WANT to believe he was a closet Nazi. I can understand Mr. Stockwell’s perspectives. In my view, there can be no greater endorsement for Furtwangler than Fred Prieberg. He was one of the first musicologists in Germany to write a comprehensive study of music in Nazi Germany, “Musik im NS-Staat” (1982.) His work exposed the massive extent of the German and Austrian music world’s collaboration, and he carefully documented the party members and collaborators by name. This caused enormous outrage among many in Germany, especially in the more conservative regions like Bavaria which had become a sort of redoubt for people with varying degrees of Nazi sympathies. After the war, there was a kind of status quo in which such unpleasant personal histories were not to be mentioned. And there were many important politicians and other cultural leaders who held to that status quo. The result was that even though Prieberg did very important musicological work about the Nazi era, he faced a great deal of opprobrium and was never given a professorship in Germany. He thus left Germany and lived in great isolation in a rural part of France for decades. Finally, in the first decade of the 21st century, most of the old Nazis had died which created a sea-change in Germany. People began to speak more freely about the Nazi era, and the immense value of Prieberg’s work was recognized. He given the distinguished Siemens Prize in 2005. He returned to Germany and spent his last few years there. His invaluable archive was given to the University of Kiel and occupies 150 feet of shelving. It is thus notable that Prieberg, a person who spent his life denouncing party members and collaborators, exonerated Furtwangler, as did Herbert Haffner, while Eberhard Straub described him as clearly opportunistic. These contrasting views reveal the complexities. I thus think Joseph’s description of Furtwangler as hovering between two polarities is a good approach to the problem since no one definition can define the complexity of Furtwangler’s involvements and motives. There is a good book that I think reinforces Joseph’s approach, Pamela Potter’s “Most German of Arts: Musicology and Society from the Weimar Republic to the End of Hitler`s Reich (1998.) She shows that the concepts of German musical exceptionalism predated the Nazi era, and that these ideas aligned closely with Nazi ideology. In its simplest forms, it was a form of cultural nationalism taken to invidious extremes. She notes that even many of the refugees that went to America held to this exceptionalist view. She notes that many entered the American academic and music worlds and reshaped the American view of musical culture, moving its focus away from France and toward Germany. And of course, Potter notes the irony of how these persecuted people still held to discrete views of Germanic cultural superiority. Furtwangler adhered to this exceptionalist view and simply could not conceive of being anywhere but in Germany. He worked to sustain, if not rescue, Germany’s musical accomplishments during the Reich, but never quite understood that his exceptionalist views and the forms of cultural nationalism it engendered had at least some corollaries with the ideologies of the regime he despised. Toward the end of the war, I think there were simpler, more human elements that made his collaboration become more obvious. Entire German armies had been decimated by the Soviets. A political, social, and cultural order that affronted his exceptionlist views was on the march toward Berlin. It became increasingly difficult to separate his devotion to Germanic culture from the Nazi regime that had not just appropriated it, but that was also claiming to protect it from a Bolshevist invasion that would presumably destroy it. These things are complex beyond understanding which is why I like Joseph’s idea of defining Furtwangler’s actions as a constantly fluid movement between a set of polarities. My only thought would be that the polarities are not just binary, but a more complex set of several categories around which his thoughts and actions traversed. Yours are wonderful, lucid, and intelligent/balanced comments. I learned a great deal. So, thank you. Furtwangler is a sort of musical Rorschach test. Most people who despise him generally do so for the same annoying, predictable, and factually impoverished reasons. Advocates of him as a clueless saint, classical music’s eternal Man of Sorrows are – to me – just as unpleasant to listen to for the same reasons. There’s a middle ground, but not many people are interested in it; too much work is involved in taking a serious look at convictions which don’t match one’s own. Well done, Mr. Horowitz, thank you. It is really important to understand this in the historic context. When the Nazis took power, German society began to dramatically change. If you were a teacher, you suddenly had a different contemporary history to teach. If you were an attorney, you were aware that the law was dramatically altered to benefit Nazi concepts. If you were a journalist, you understood that reality had been altered. Street sweepers and bakers did not have to adjust much but so many other professions did. What is a teacher or lawyer to do in this new world? You can quit and try street sweeping or baking? Move to another country with a different language? How do you keep your house payments up after quitting your profession? Untold numbers of Germans found themselves in conflict with Nazi policy but were compelled to “adapt.” The filmed image of Furtwangler moving his baton in his left hand so he did not have to give the “Sieg Heil” in the presence of Hitler was only one sign of his efforts to find a path in the new environment.